I've been a fan of the Alien franchise for years. 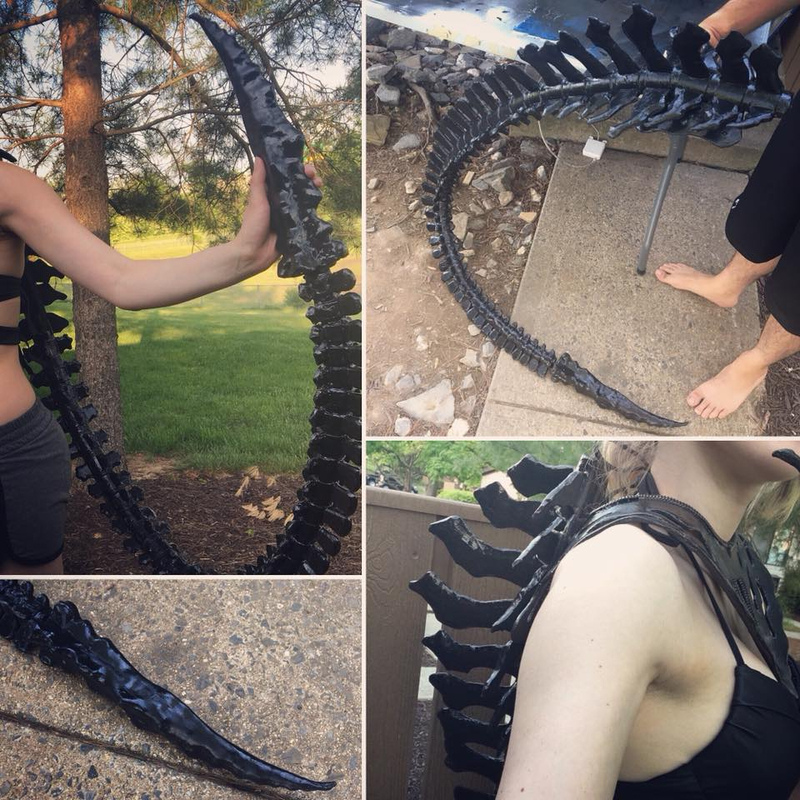 It's been a dream to one day cosplay the Xenomorph Queen from the Aliens movie. So I did it.... just a little differently. I wanted to build something powerful, scary, and challenged the idea of 'monster' or 'alien'. So I essentially built an armored swimsuit! I asked Jakescribbles for help figuring out a gijinka based design that would represent the Xenomorph Queen without it explicitly being the alien itself. The cosplay took me about 2 months to build. I worked on it non-stop! One of the pieces I am most proud of is the tail. It's essentially a pool noodle with over 150 individually dremeled foam spinal spikes! The tail was the most tedious test of endurance ever. Fun fact.... the tail floats! The headpiece was also extremely interesting to build considering its size. By the way its a lot lighter than you expect because its 90% FOAM! 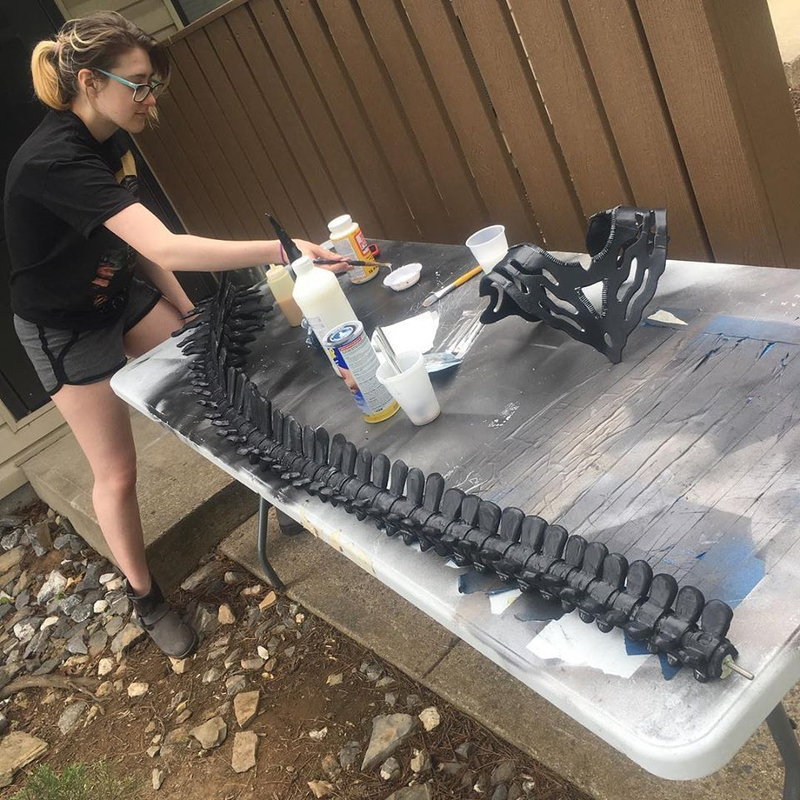 I used EVA foam as a base then stacked up layers to help form the basic shapes. Then I went back with foam clay to blend any hard edges. The claws with the strange strappy gloves were also an interesting build. 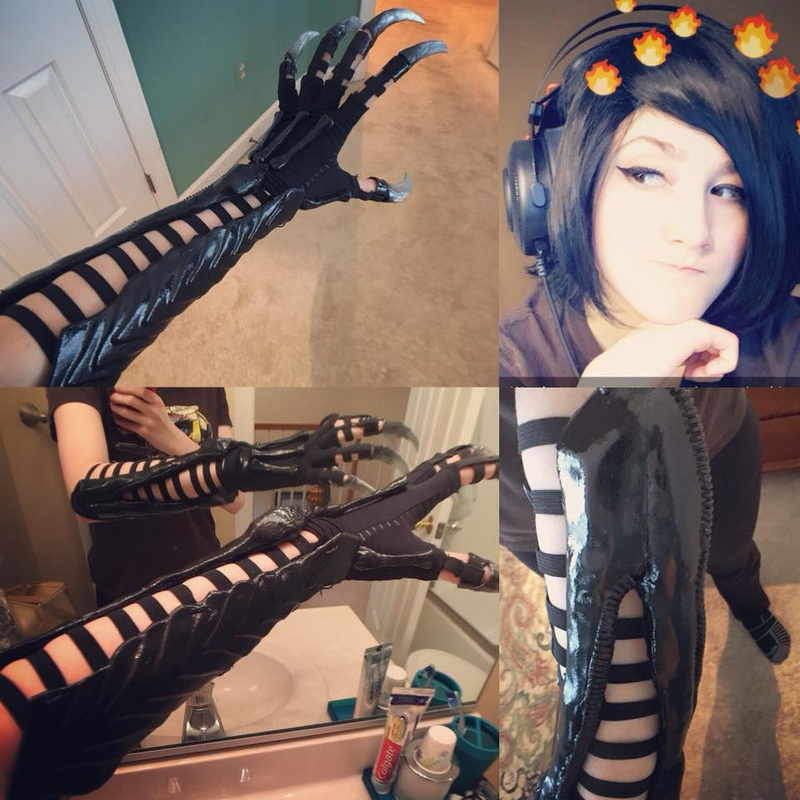 Claws themselves are layered worbla heated together. 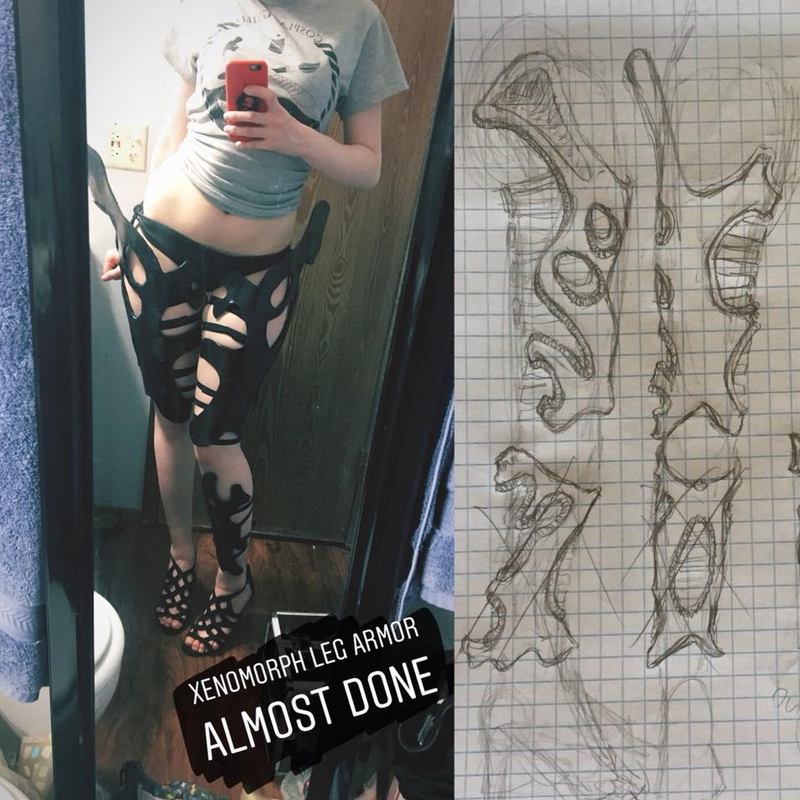 *Also if you look super closely you can see the very small details on the arm pieces (see the piping which is actually cable organizers) (also see the 3 bone looking pieces on my hand to represent organic material as opposed to the mechanical piping... a concept that HR Giger had in a lot of his work). I am a sucker for small details - so of course the silver fangs had to be part of my original Xenomorph Queen look. Additionally I had to design a makeup style that would be fitting for a Xeno Queen so I choose to stick with a dark smokey look with sharp wings. 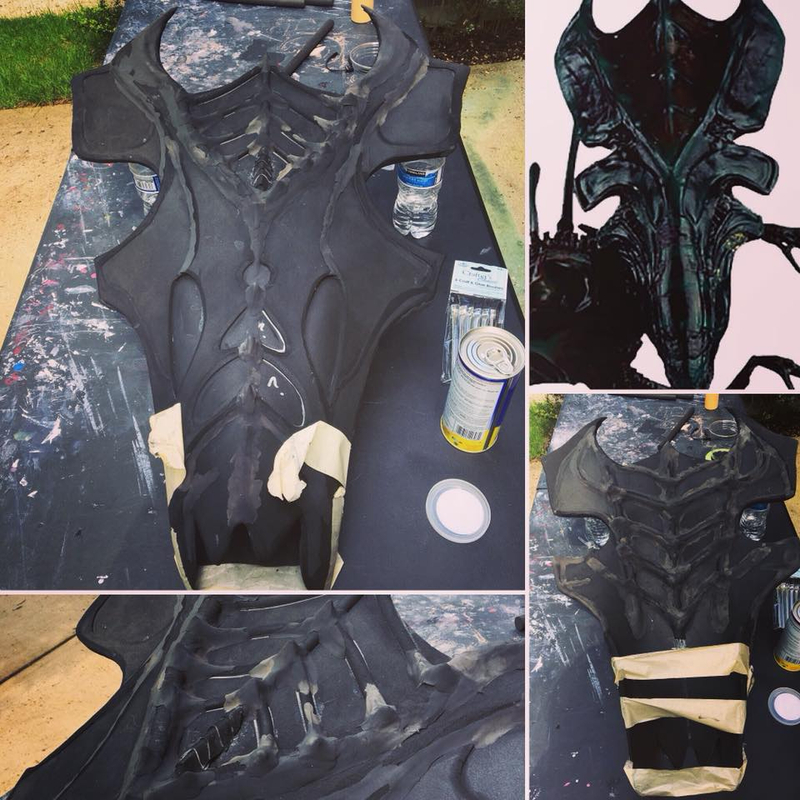 Looking back on the build process of this cosplay - I would say that this costume was just as challenging as a fully covered costume such as my Skyrim Nightingale (which shows no skin). Despite this being a swimsuit - the cosplay had its own unique challenges and learning experiences. The tail was an endurance run in how long it took to create. The headpiece was a balancing act of weight distribution as during the entire build I had to make sure it stayed as light as possible despite its large figure. I had to figure out the best way to make the costume safe to wear in a pool. Wearing the costume itself took a lot of energy and confidence in my own body. Putting on this cosplay gives me a sense of power and accomplishment. I really do feel like the Xenomorph Queen when I have it on.